The Central School Garden is a wonderful school-wide resource, utilized by our Outdoor Classroom teacher who provides hands-on, curriculum-based lessons for all grades. Many of our faculty incorporate the garden into their teaching throughout the year, and children can enjoy the peacefulness of the garden during recess and after school. 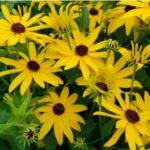 The Central Garden boasts a diverse selection of native prairie plants, wildflowers, herbs, vegetables, and nectar and pollen-rich plants that support the health of butterflies, bees and other insects. 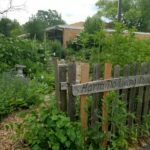 The garden is recognized by Monarch Watch as an official Monarch Waystation and by the National Wildlife Federation as a Certified Wildlife Habitat.